Hot water heater anode replacement service. Cheapa Hot Water. Anodes are core rods installed at the top of the hot water tanks during production to prevent rust and corrosion. The rods are surrounded by either magnesium, aluminium or zinc. They have been a staple of hot water heaters for decades and are very useful in preventing water tank damage and regular and expensive replacement costs. 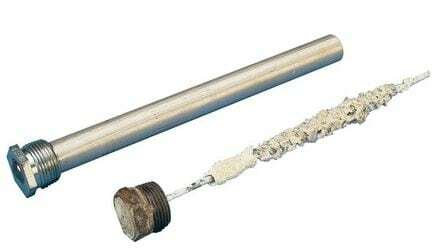 Also known as ‘sacrificial anodes’, through electrolysis, the rod will corrode instead of the water heater’s exposed steel through a process called electrolysis. It protects the metal inside the hot water heater from rusting. Electrolysis occurs when the two pieces of submerged metal rod react to a voltage. Anodes typically last between 3 – 7 years. Once the anode is fully spent it fails to protect the tank which will start to deteriorate. In time, a rusting water heater will cause problems which are typically more expensive to repair than simply replacing the anode. Regular anode replacement ensures your water heater continues to operate as intended and lasts longer therefore saving you money in the long term. Does your anode requirement replacement? If your water heater is over 3.5 years old, we suggest you contact us and we can advise whether your anode may require replacement.  If you supply us with the make and model of your water heater we will be able to determine whether a service call is required. Some anodes last longer than others, depending upon the material of which they are made, so a quick phone call will give us the information we need to make such as assessment. 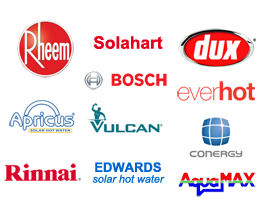 We are licensed hot water heater repair technicians, servicing all makes and models including including Rheem, Dux, Rinnai, Aquamax, Bosch, Conergy, Hocking, Apricus, Vulcan, Edwards Solar, Solahart, Everhot and more. 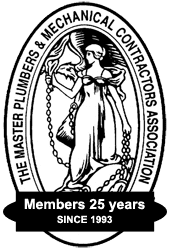 For more information about whether the anode in your water heater may requirement replacement, contact our hot water plumber service technicians for obligation free advice.